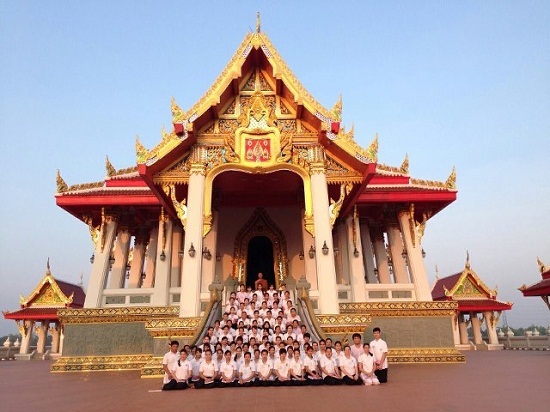 90 nursing students from Faculty of Nursing Science at St Theresa International College attended Dharma practicing camp at Mahachulalongkorn Rajavidyalaya University, Tambon Lamsai, Ampur Wangnoi, Jangwad Ayutthaya. The 2nd-year students had a chance to redevelop conciousness, moral attitude, kindness and patience through meditation and Buddhism practices. This will prepare the nursing students in terms of mind and wisdom so as to succeed in their difficult course of study and training.